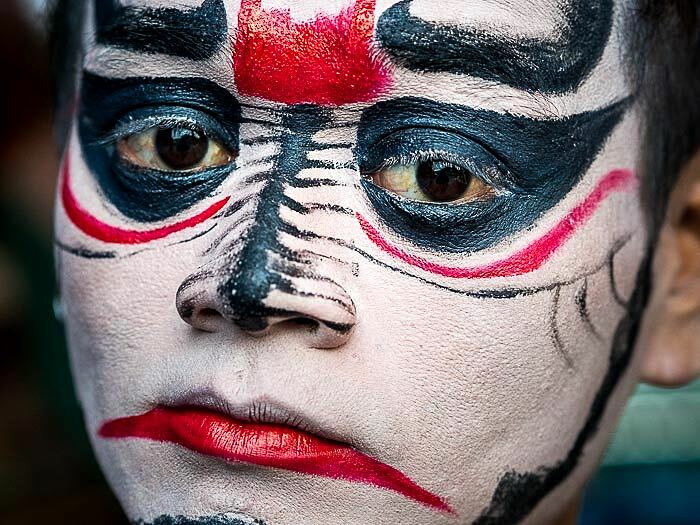 A performer at a Chinese opera at a Chinese shrine in Klong Toie, one of the most infamous slums in Bangkok. I went to another Chinese Opera Thursday night. This one was at a small Chinese shrine the Klong Toei district of Bangkok. Klong Toei is famous for its sprawling market - one of the best in Bangkok and its equally expansive slum, which stretches from the Bangkok port (also known as Klong Toei) almost to Emporium, a high end Bangkok mall. 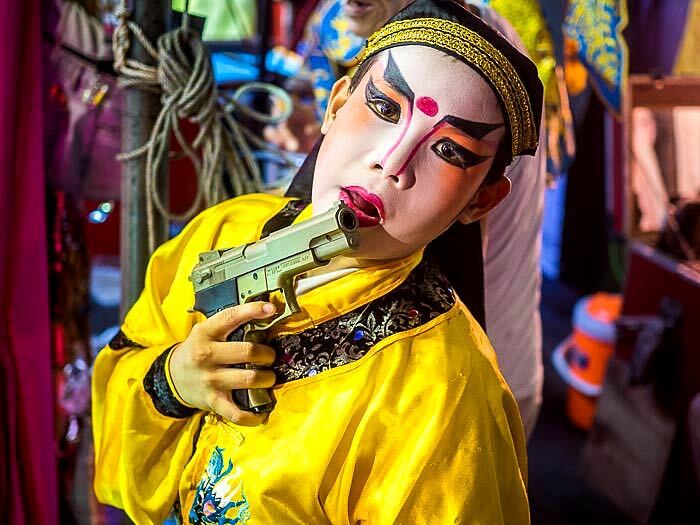 A young performer with his toy gun. 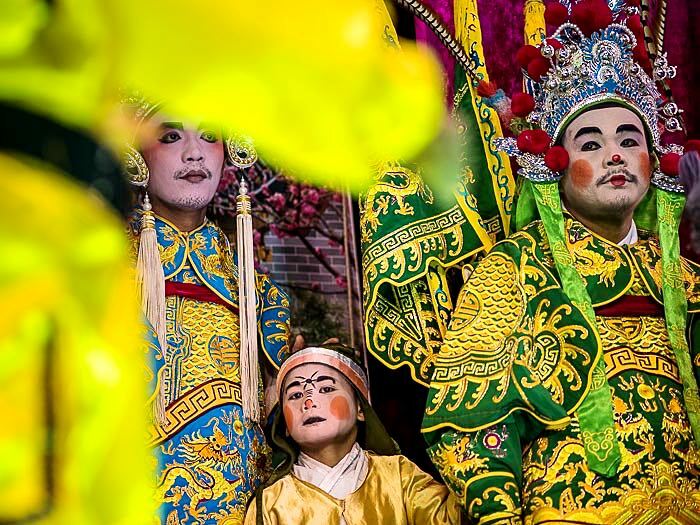 I like photographing Chinese opera. More accurately, I like photographing people getting ready for the opera. I don't understand the actual opera, since it's performed in a Teochew, a Chinese dialect. I enjoy the camaraderie backstage and the ambiance of being amongst the performers. I've photographed a lot of Chinese opera in the last couple of years. Most of the photos are available from my archive.